I’m obviously a fan of Jide’s Freshy2 theme, it’s the theme I use on this site. However, in order to do some of the fancy stuff within the theme you’re required to also use Jide’s Customize plugin. 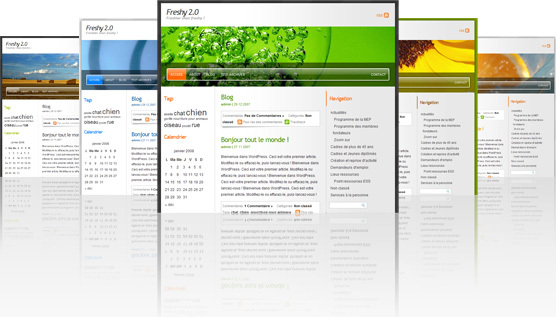 The Customize plugin provides css based customization for themes. It’s allows themers offer customization options with their theme really easily, just with a few css tricks! Sounds cool right? It is… unless you’re using WordPress 2.6. Apparently, WP 2.6 uses a new version of scriptaculous and it conflicts with the theme/plugin. What you’ll see is an inability to see the media buttons when writing posts, among other things. No word from Jide on when an official fix will be issued, however Nestle Poell has compiled a collection of fixes which should make the plugin work (at least mostly work) so that you can use the Freshy2 theme. If youâ€™re using the Freshy 2.0.6 theme + Customize Plugin + WordPress 2.6 then youâ€™re stuck with the blank page when you click the â€œFreshy Theme Optionsâ€ or you get the â€œYour theme does not support customizationâ€ when you click â€œCustomize Themeâ€œ; Hereâ€™s a simple fix that you can use until an official patch/fix is provided by Jide himself: You need to edit a few lines on 3 php file. Comment or remove line 92. Itâ€™s the line that has something to do with scriptaculous.js. I haven’t personally tested this as my theme was already customized all I needed but for those of you looking to use Freshy2 give the above a shot. It’s your best bet until Jide releases an update.